They come in strawberry and s'mores flavors -- and if you’re trying to grab one (read: WAY MORE THAN ONE), you'd better hurry: they usually sell out in under an hour. 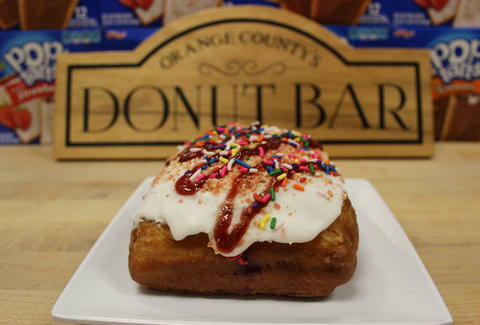 Here're the basics: the strawberry Poppa-Tart is a gigantic donut stuffed with crushed strawberry Pop-Tarts and house-made strawberry jam, topped with marshmallow glaze, drizzled with more jam, and yes, topped with more crushed Pop-Tarts. 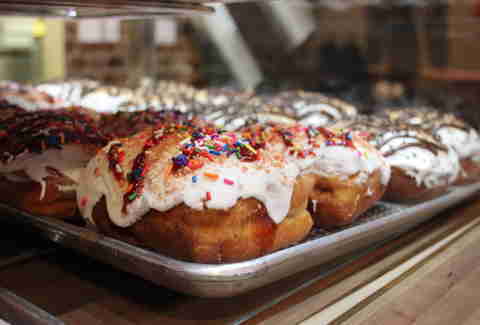 Oh, and sprinkles. 'Cause duh. Same routine goes for the s’mores -- it’s stuffed with s'mores Pop-Tarts and house-made chocolate fudge. Also, you’ll probably want to bring a napkin, or a bib, or a hazmat suit because the strawberry jam shoots straight at your face if you bite right into it. And what, are you gonna eat it with a fork? NOT TODAY. NOT IN MY TOWN. "Surely this miracle snack must cost a fortune!" you’re probably shouting. Well, stop shouting, 'cause it’s ONLY FOUR BUCKS. Now quit drooling all over your computer or smart phone (or smart watch? We have those now, right? 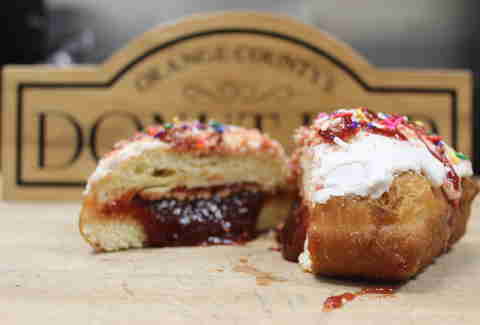 ), and get over to Donut Bar (they've got locations in Orange County and San Diego) and start believing in miracles. 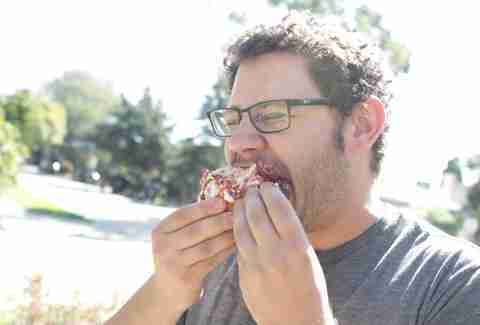 Wilder Shaw is a writer and comedian who definitely didn’t eat an entire Big Poppa-Tart. No, definitely not. 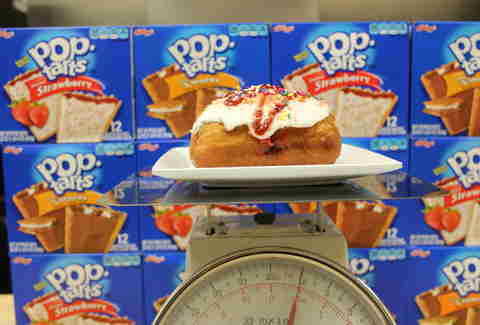 Talk about your favorite Pop-Tart flavor with him on Twitter at @WilderShaw_ and Instagram at @wildershaw.